More than likely, you don’t give your garage door a great deal of thought unless something goes wrong. When that happens, it’s obviously a huge hassle. However, if you have an end of summer garage door tune up performed by a professional, you can keep problems from taking place and ensure continued smooth operation. Your door will also be safer as well. One of the main reasons you should consider an end of summer garage door tune up is safety. An estimated 20,000 people were hurt by malfunctioning garage doors in 2011 alone, according to the U.S. Consumer Product Safety Commission. Thankfully, a lot of these injuries were relatively minor. However, many others were extremely serious. Many components that make up the door that secures your garage are under a great deal of pressure – particularly the springs. If they should give way at the wrong time, serious damage and bodily harm can result. In addition, if the opener is not adjusted properly, the sensors may not properly work and as a result the door may close when you don’t expect it to do so. That’s why you should have an inspection scheduled once a year. Doing so will identify any potential damaging or dangerous problems so they can be fixed. There are several parts of a door that you can’t simply look at to see if they’re OK, such as hinges, end bearings, brackets, rollers and several others. Here are a couple of more reasons you want to have an expert come out and check your door. Longer lifespan – Just like having your air conditioner checked regularly can help it last longer, regular garage door inspections can extend your door’s lifespan. Again, an inspection can uncover minor issues before they turn into major problems. Money savings – If a technician sees excessive wear and tear in certain areas, he can make the necessary repairs or replacements immediately. If those parts give out, major damage can occur that will cost much more to fix. 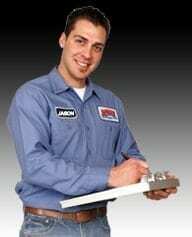 Schedule your end of summer garage tune up today by scheduling an appointment with Action Garage Door you can contact us online or reach us at one of the local numbers at the top of this page.